Looking for How to Make Homemade Gourmet Fat-Free, Sugar-Free Ice Cream with an ice cream maker (directions, recipe, with photos, easy and free) in 2019? Scroll down this page and follow the links. And if you bring home some fruit or vegetables and want to can, freeze, make jam, salsa or pickles, see this page for simple, reliable, illustrated canning, freezing or preserving directions. There are plenty of other related resources, click on the resources dropdown above. Using an Ice Cream maker with Ice and Salt! What's better than fresh picked fruit? Perhaps fresh premium fat-free, sugar-free ice cream? So let's take some fresh-picked fruit and make our own homemade fat-free, sugar-free ice cream! It tastes SO MUCH BETTER than store bought fat-free ice cream. 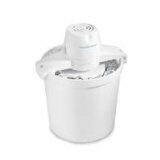 It is actually quite easy, and electric ice cream makers are inexpensive! 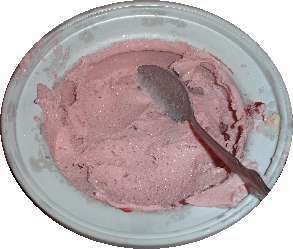 You can make plain vanilla ice cream, strawberry ice cream, peach ice cream, raspberry, blackberry, blueberry, or many other flavors! The only special equipment you need is an ice cream maker (either electric or manual) that uses salt and ice for cooling. These directions will work fine for all ice cream makers that use ice and salt; such as (but not limited to): Aroma, Hamilton Beach, Richmond Cedar Works (RCW), Rival, Oster, Rival (8400, 8401, 8401M, 8405, 8410, 8420, 8450, 8455-X, 8550, 8550-X, 8600, 8605, 8650, 8620, 8704, 8704P, 8706, 8804, 8806, F64306, etc.) Waring, White Mountain ice cream makers and many others. If you have an ice cream maker that uses a gel container that you pre-freeze, see these instructions instead! If you are looking for an instruction manual for your ice cream maker, we have them, too! See this page. 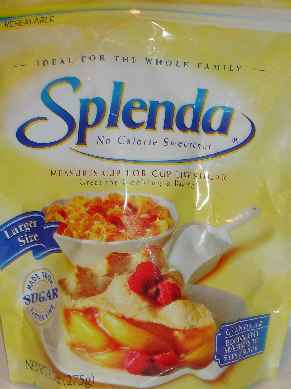 1 cup Stevia (in a prepared form like Truvia, it measures same as sugar; if you use another form, you'll need do your own conversion) - or Splenda, if you prefer, - OR if your fruit is VERY sweet, you be able to get away with no added sweetener. raspberries, mangoes, or whatever you have! See step 7 for details. There's not much point in trying to make ice cream if you need ice for the ice cream maker. For a typical 2-quart ice cream maker, you will need approximately: 2 cups (500 ml) table salt and 8 trays of ice cubes. It is NOT NECESSARY to use rock salt or crushed ice in most units (certainly not the Oster's). 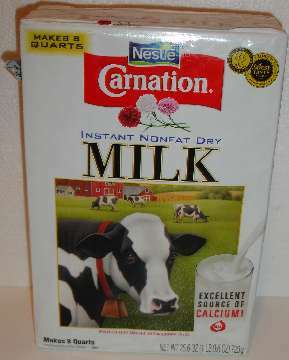 In a large pot ( 4 quarts or larger) with a heavy bottom (for even heat distribution), mix the fat-free milk, Stevia (in a prepared form like Truvia, it measures same as sugar; if you use another form, you'll need do your own conversion) - or Splenda, if you prefer, and powdered, nonfat, dry milk. Bring the mix to a low simmer over medium heat and stir to dissolve the Stevia (in a prepared form like Truvia, it measures same as sugar; if you use another form, you'll need do your own conversion) - or Splenda, if you prefer, , then turn the heat down and just keep it warm. As noted in the ingredients, egg yolks are not fat free and do have 215 mg cholesterol per each egg yolk, so for this recipe we use an egg substitute, like Egg Beaters or Better'N Eggs. 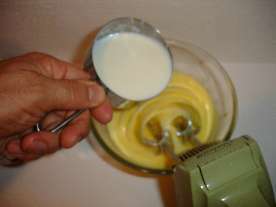 Put the egg whites in a medium bowl and whisk until they are thickened (it only takes about 2 minutes. 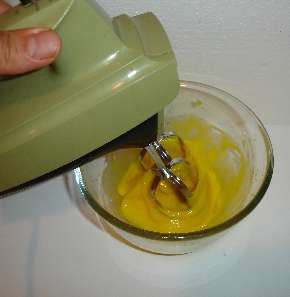 I use a hand mixer on low speed. 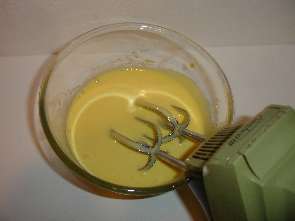 Note: the yellow color in the egg beaters comes from carrageenan, a natural food additive made from seaweed, which also helps to thicken. Of course, you can use plain egg whites instead. 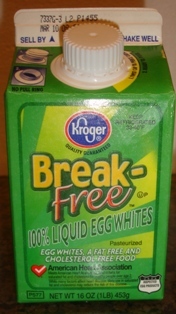 Then pour the egg mixture back into the pot of hot milk and increase heat to medium. Stir the mixture constantly with a wooden or plastic spoon, until the mixture is thickened (like gravy) and registers between 170 F and 180 F (check with an instant-read thermometer, like the ones with a probe). 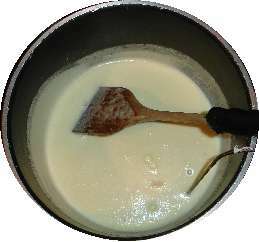 Stir in non-fat half-and-half and vanilla. Cover and pop into the refrigerator for at least 6 hours before continuing on to step 8. Overnight or even 24 to 48 hours is fine. Well, what kind of fat-free, sugar-free ice cream do you want? This is the time to decide! You can add almost any fruit you have! If you want vanilla, you already have it, just pop the mix into the maker. If you want chocolate ice cream, just add your favorite chocolate syrup, such as Hershey's or Nestle to the mixer in step 10 as it thickens! I still add the vanilla when I make chocolate - I think it makes a good combination, but you can leave it out, if you like. For a fruit flavor, well, some fruit work better than others. 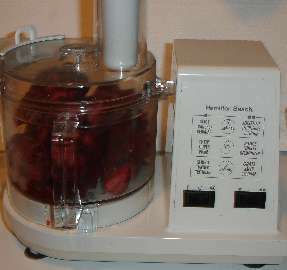 You get best flavor if you puree the fruit first in your food processor or blender. So obviously, fruits like strawberries, raspberries, mangoes, figs and peaches are idea for this, while apples, coconuts and pomegranates might not be such a good choice. A. Pour 1 cup (250 ml) cold water into Ice Bucket. B. Place a 1 inch (2.5 cm) layer of ice cubes around Cream Canister in Ice Bucket. D. Continue layering ice and salt to the top of the Ice Bucket. E. Pour 1 cup (250 ml) cold water over top ice layer. Step 10 - Add the salt and ice and turn on the ice cream maker! 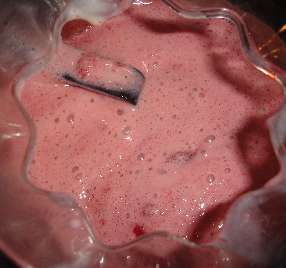 Turn the ice cream maker on and let the maker work until it is thickened, about 20 to 25 minutes. From time to time, add more ice cubes and salt as needed. Now is the time to add the chocolate syrup, if you are making chocolate ice cream. I add about 1/2 cup of chocolate syrup - I use the Hersey's sugar free syrup, but both the variety and amount are a matter of personal taste preferences! 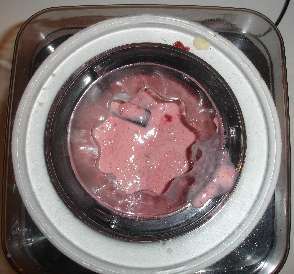 You can tell when the ice cream is done, by simply checking the consistency through the opening on the top of the ice cream maker. You will also hear the motor straining, as the ice cream freezes. On some units, the directions with the maker tell you to let it work until the motor stalls and stops. 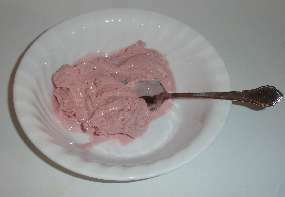 When it is done, the ice cream should have a soft, creamy texture. If you want firmer, harder ice cream, transfer the ice cream to an airtight container and place it in freezer for about 2 hours. Remove from freezer about 15 minutes before serving. Hey, once it reaches the consistency you like, it's time to eat! That's it! You made great homemade fat-free, sugar-free ice gourmet cream! A visitor suggest using Xanthum gum, which is available in the health food store, instead of egg yolks. Some grocery stores carry it if they have an extended health section.